Our work has been recognized by the likes of Graphic Design USA and iStockPhoto for outstanding design results. Kidz2Leaders provides stability, opportunity and a Christian community for children of inmates to break the cycle of incarceration. Through their 10-year program continuum, they accomplish their goal by building long-term, healthy relationships with these individuals. We had the pleasure of creating their first website a few years ago and excited not only to update their site, but their logo as well. Using a pre-built template, Kidz2Leaders now has a site that showcases event photos, information, and noteworthy news about the non-profit. This organization touches the lives of many Georgia families, and we’re thrilled to give them a platform to allow them to continue bringing good things for these children. ProGreen‘s eCommerce website ArtificalTurf.com offers competitive pricing on high-quality artificial grass products for a variety of applications. From putting greens to pet turf, this website allows users to order their choice of artificial turf by the square foot and also addresses frequently asked questions when choosing the right kind of product for their yard. We’ve enjoyed working with ProGreen in the past, and this site was no exception to that! Anna Griffin, Inc. is an internationally-known, high-end gift, stationery and craft brand located in Atlanta, Georgia. For over 23 years, this brand has created award-winning prints and products featured on HSN, Better Homes and Gardens, and Martha Stewart Weddings. When they came to GreenMellen for a new eCommerce website, they wanted the look of this site to complement the brand’s chic style and elegance perfectly. With preliminary keyword research to guide the product page categories and working closely with Anna Griffin herself on the proper messaging and tone for the site, the final product speaks for itself. We are very proud of this eCommerce website and know it will help the Anna Griffin brand to continue flourishing around the world. 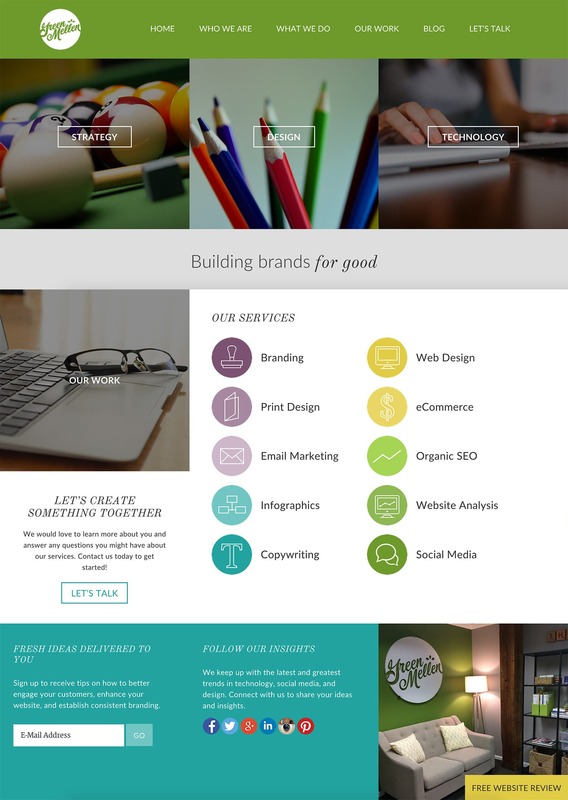 The iFOLIO platform is a customizable, digital engagement solution delivered in a SaaS model. The platform offers 150+ digital options for engagement including video, brand-controlled media library of images, media, links, integrated social media, and viewer tracking to maximize marketing ROI. When iFOLIO came to us for a website refresh, they wanted to convey their product’s benefits and convert their leads into long-term customers. The result was a new website that clearly displayed this product’s capabilities for their wide range of audiences. We were very excited to work with the iFOLIO team on this site and know it will help them get the word out about iFOLIO. Blackwater Digital Services is a post-production, encoding, and worldwide delivery house based in Marietta, Georgia. To increase their inquiries and client base, they needed a website that was more appealing to their local and global audiences. The GreenMellen team stepped in and helped them build out a guided website. After selecting the best template that fit their objectives, we built out their site to showcase their services and previous work. We’re confident that this new website will help them reach their audience and meet their business goals. The Assessment of Functional Living Skills (AFLS), created by the authors of Functional Living Skills (FLS), helps learners with developmental disabilities gain the skills and confidence they need for independence in everyday life. 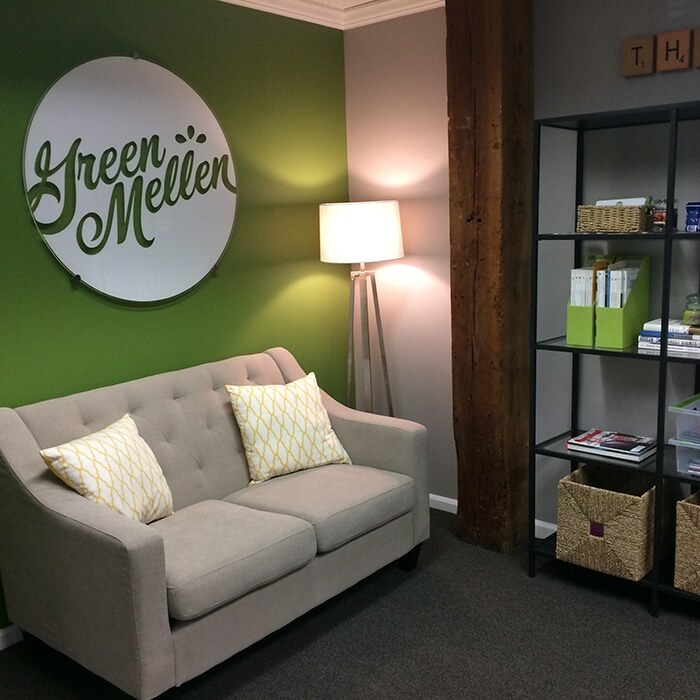 The team came to GreenMellen in need of not just a new eCommerce website, but help with their messaging strategy, SEO, and design for their printed protocols. With the help of Creation Speak, we were able to fine-tune their brand positioning and messaging, as well as create a roadmap for their social media efforts over the next five years. Since this space is wildly competitive, we performed keyword research and defined which pages should be optimized to reach their target audiences better. Along with adding eCommerce capabilities to their new website and building out their social media profiles, we were proud to build a robust digital presence for this brand.